What inner nine-year-old will be able to resistÂ connecting the dots to reveal three badly dressed, middle-aged men bickering, falling over, messing about with cars, and catching fire? 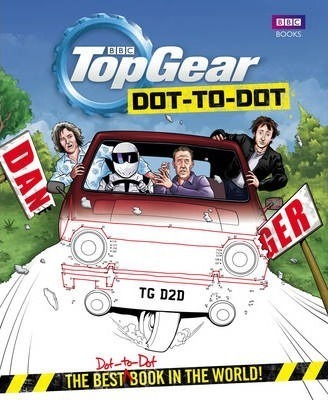 Pencil wielding Top Gear enthusiasts, assemble! This is your chance to connectÂ the dots and see your Top Gear favorites in a whole new light. From Jeremy squeezing into the Peel P50 and the sinking of the Toybota, to Hammond and his many hairstyles, you have the power to finish the image and discover the truth.